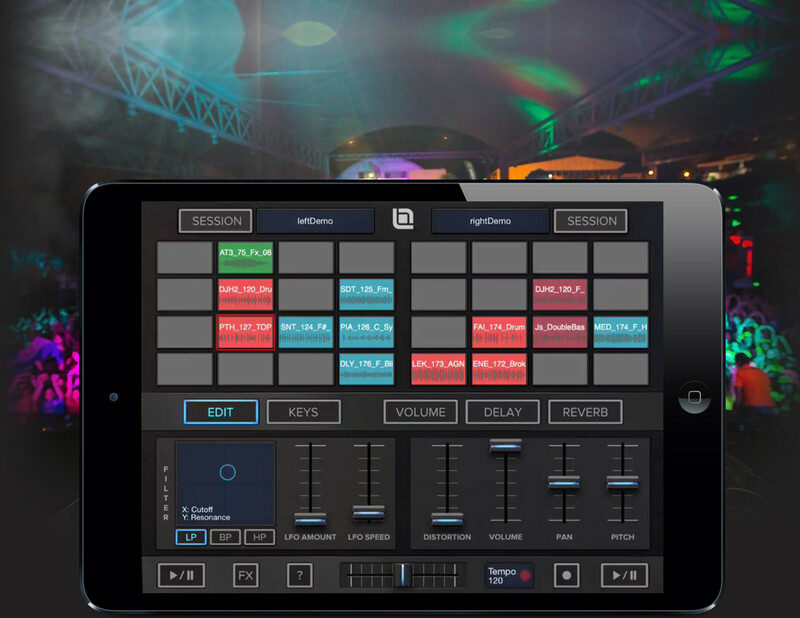 Looptunes is the next generation of beat making tools that allows you to create loop sessions on the fly. These sessions can then be manipulated and shaped with a multitude of parameters, ALL LIVE! Whether you are a professional musician who is looking for inspiration, an instrumentalist who wants to play along with a loop session, a DJ who wants to quickly create beats from scratch, or a person wanting to interactively make music that sounds good, Looptunes is the perfect tool for you. 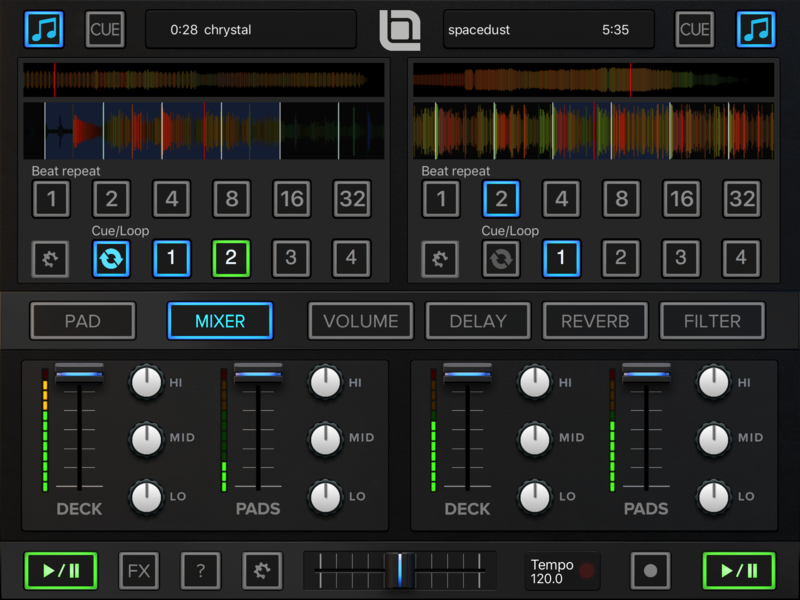 Create up to two sessions from customized loop selections, play them simultaneously and crossfade between them. Load a second session while the first one is still playing. No matter what you do, all loops play synchronized to the beat. If you start or stop a loop, it automatically changes it's playstate at the next bar. The online browser allows you to access thousands of high quality loops, provided by Loopmasters. The format is crafted for web use, and is usually less than a tenth of a raw wav file. As an in app purchase (included in LooptunesDJ), you can playback songs from your iTunes library, synchronized to your loop session. Use beat repeat for instant looping. 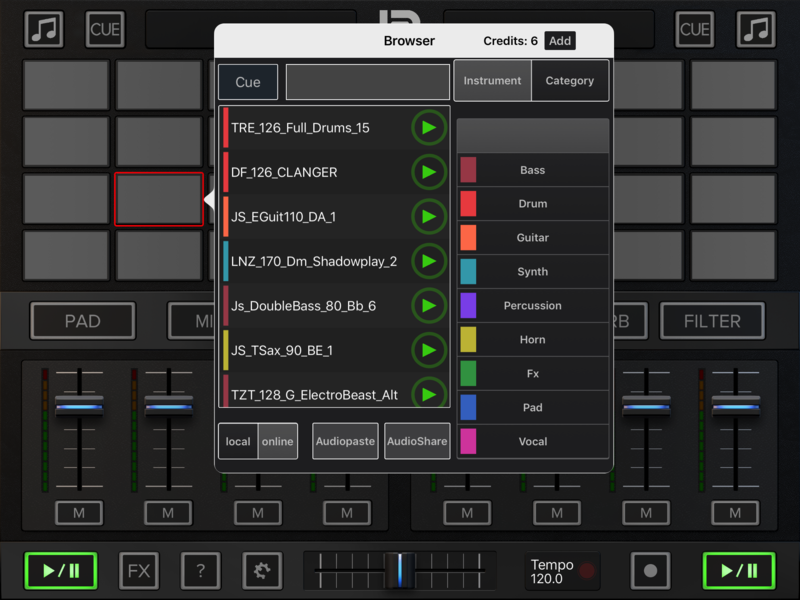 You can set up to 4 cue points, and 4 loop sections. Each loop has zero delay feedback multi-mode filter (controllable via XY pad), a filter LFO and (iPhone only) distortion, volume, pitch, and pan controls. Each session has XY effects pads to add some spice to your sessionss. 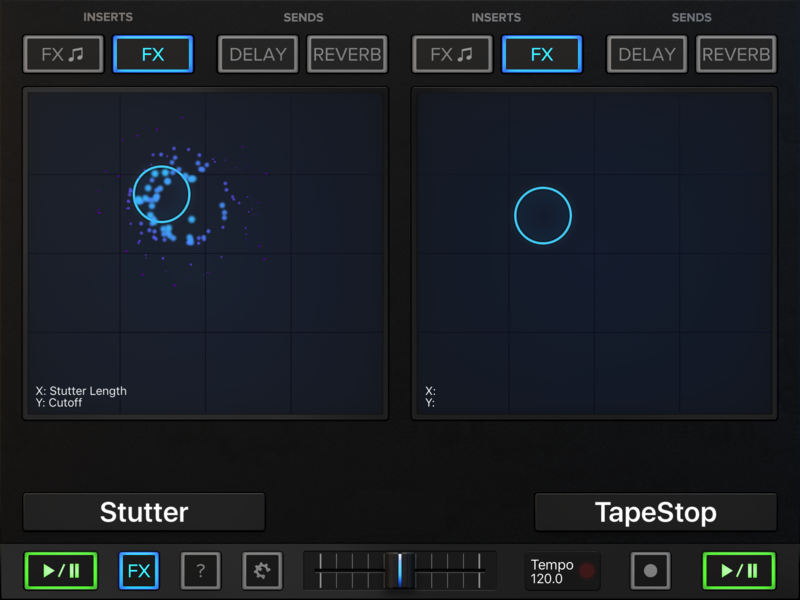 You can choose from a list of effects including filter, delay, stutter, and others. The FX mode lets you adjust two send effects (delay and reverb), EQ, and a custom effect. You can import loops via AudioShare or Audiopaste or iTunes, or record your own via external (mic, audio interface), audiobus, or resampling. You can record your sessions and retrieve the recordings from iTunes, so you can share them with your friends or use them as songs in other apps. We want to provide an opportunity for everyone to make music. 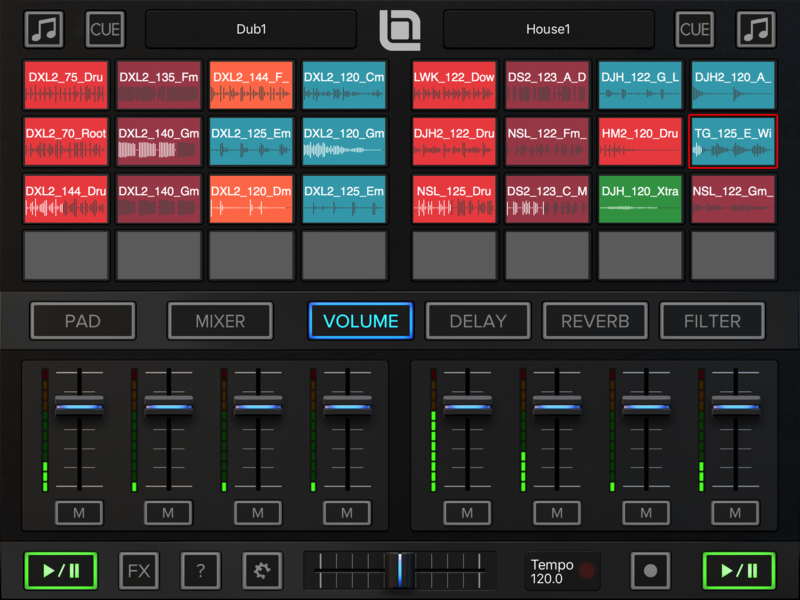 Looptunes was designed to be a fun tool that lets you create beats very quickly, no matter what your skill level is. It enables everyone to be creative.